Aboriginal education advocate Gayle Bedard served the First Nations community in her role with the Ministry of Education, and through the direction of councils and programs. 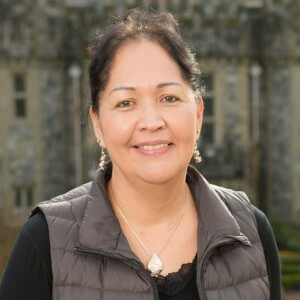 During her more than 30-year career, Bedard was an elementary and secondary school teacher, counsellor, principal, and district principal for Aboriginal education in the Surrey school district. Bedard, a Tsimshian member of the First Nations community of Port Simpson (Lax Kw’alaams), devoted herself to building bridges between Aboriginal and non-Aboriginal communities. As district principal, she used curriculum changes as a tool to support this connection. In Bedard’s view, when Aboriginal education is part of the curriculum, there is no need for a separate Aboriginal education department. Bedard adapted curricula to include education of territorial history to promote feelings of pride and belonging among Indigenous communities. In her role, Bedard addressed the issue of Aboriginal student graduation rates with the British Columbia Association for Supervision and Curriculum Development. Bedard holds multiple degrees from the University of British Columbia. She graduated in 1984 with a Bachelor of Education from the Indigenous Teacher Education Program (NITEP), and a Master of Education and Leadership in 1998. Currently, she is the director of First Nations programs and partnerships for the Yukon government and community services director of the Tsawwassen First Nation. She served on the advisory board for NITEP, the First Nations Education Council, and is president of Gwa’lgum’ax (GGAX) Consulting.